Back when the Google Home Hub was not yet a thing, three manufacturers unveiled (vague) “smart display” release plans. For some reason, it took a lot of time for these to materialize, with Lenovo’s 8 and 10-inch models available stateside since late July, followed by JBL Link View pre-orders kicked off in August ahead of an early September rollout. At long last, the LG WK9 that was first showcased by Google all the way back in January is up for grabs, fetching $199.99 in the US after a $100 introductory discount. B&H Photo Video has it listed even cheaper, at $196.99 with “holiday savings”, although you still can’t technically order the device from that particular retailer. The question you may be asking yourself right about now is what makes the LG Xboom AI ThinQ model WK9 (full name, no joke) worth around 100 bucks more than the soon-to-be-discounted Google Home Hub. LG offers a couple of possible answers in a new press release, claiming this bad boy’s stereo 20W sound is “the most powerful” in any smart speaker around. That obviously makes the WK9 quite bulky, at roughly 3.3 pounds (1.51 kilograms), with a width of 14.5 inches, 9.6-inch height, and 5.7-inch depth. In contrast, the Google Home Hub measures 7.02 x 4.65 x 2.65 inches, tipping the scales at only 16.9 ounces (480 grams). 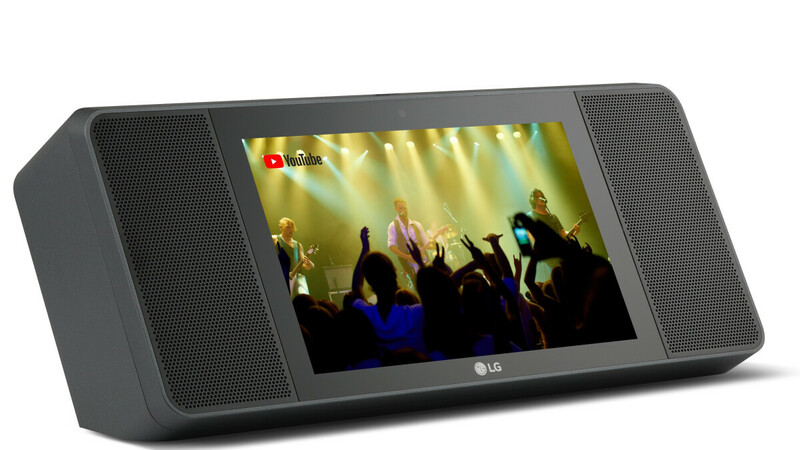 Of course, the Google Assistant-powered LG Xboom AI ThinQ model WK9 (ugh) also sports a (slightly) larger 8-inch touchscreen with “HD” resolution for YouTube access and other home entertainment features, as well as a 5MP front-facing camera for video conferencing that privacy advocates may not really consider an advantage over the Google Home Hub. Those in the market for a smart display should probably take Amazon’s latest Echo Show variant into account as well, at a recommended price of $230 (Black Friday deals excluded), with an even bigger 10-inch screen in tow, a similar 5MP camera, and extremely powerful audio capabilities of its own. These things arw like smart watches and speakers. Sure it can be useful, but you really dont need it and you kinda have to create a purpose for it, to validate the purchase. For a person who cooks and wants to watch a video showing the preparation or something similar can be pretty useful. But nothing you cant do by just gerring a case for your phone and have it stand up and you just speak to it and have it play the same thing. New tech is cool, useful new tech is better. This doesn't hype the senses on either. I got mine primarily so I could tell it to turn on the lights on my family room. We have 3 lamps which had to be turned on by hand. It doesn't sound like much, but I can't tell you how much I still enjoy just telling google to turn the lights on as I enter the room. As a bonus, My Harmony remote is also supported, so I can tell it to turn on the lights and the tv, or xbox, or blu-ray. It is also nice to occasionally ask random questions without having to dig out my phone. This display is also Chromecast compatible as well. So you can cast things from your smartphone or tablet to this. You talk about a phone, but the audio is not going to be like this stereo output, plus the display is bigger as well. Not to mention all the stuff you can say that this will be able to perform. Remember this thing can do so much more than an Apple HomePod, and it's still cheaper, and it is stereo sound. You can even ask it to play YouTube videos. You also never mentioned that this display comes with YouTube premium as well. Which is ad free. I'd ask Santa but that name is too long to out on my list.